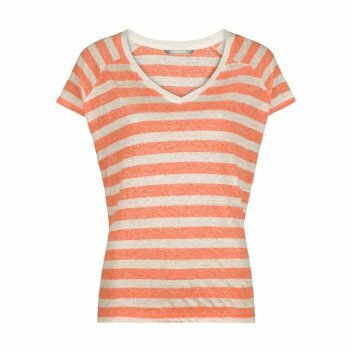 This Sandwich Striped T-shirt makes a great addition to your summer casuals wardrobe. This lightweight linen and polyester mix t-shirt features a flattering V shaped neckline and short sleeves. The Sandwich Striped T-shirt has a relaxed, loose fit and will look teamed with a pair of shorts or jeans.